Situated on the shores of the Bay of Bengal, in the eastern coast of India,is the ancient city of Puri, popularly known as Jagannath Puri. The presence of the city dates back top the third century B.C. 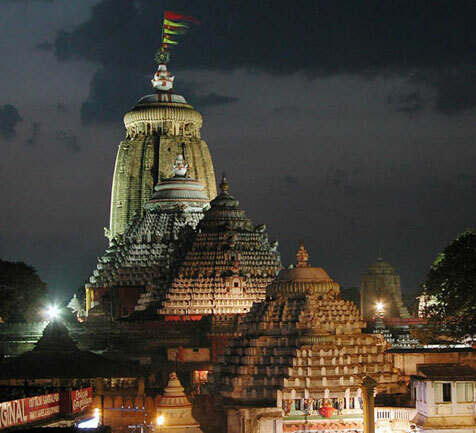 The earliest records refer to the place being of religious importance even before Jaganath Temple was established here in eleventh century. According to legends the induction of the tribal people into the main stream began with the inception of the idols of Jagannath, Balabhadra and Subhadra in their present form. Acceptance of the tribal culture was reinforced by the then ruler by giving the revered position of priests to the tribals, during Rath Yatra. From then on the Jagannath cult slowly took its stronghold in Odisha and its culture. The famous Rath Yatra (where the Lord himself along with Balabhadra and Subhadra) is out on the street to give darshan to his devotees on his aunt’s place is famous and unique. Not long thereafter, Adi Shankaracharya set up the Govardhan mutt at Puri, officially declaring it as the eastern dham. For the Hindu a visit to Puri completes his pilgrimage tour of the four dhama. With bhajans, kirtans, Jagannath mantra from the various temples and mutts reverberating in the air, a visit to Puri leaves a strong feel of religious mysticism mingled with typical Odia fervour. Besides so many temples including the Jagannath,Puri offers attractions like Puri Beach, Konark, Chilika, Chandrabhaga, the Sudarshan Museum, Raghunandan library, Sand art park and many more beautiful sites.